I like the Olympics. They are full of history. Mostly ancient Greek history, but also Celtic history. Many of our modern day track and field sports were well known at Celtic feis (arts and sports festivals). 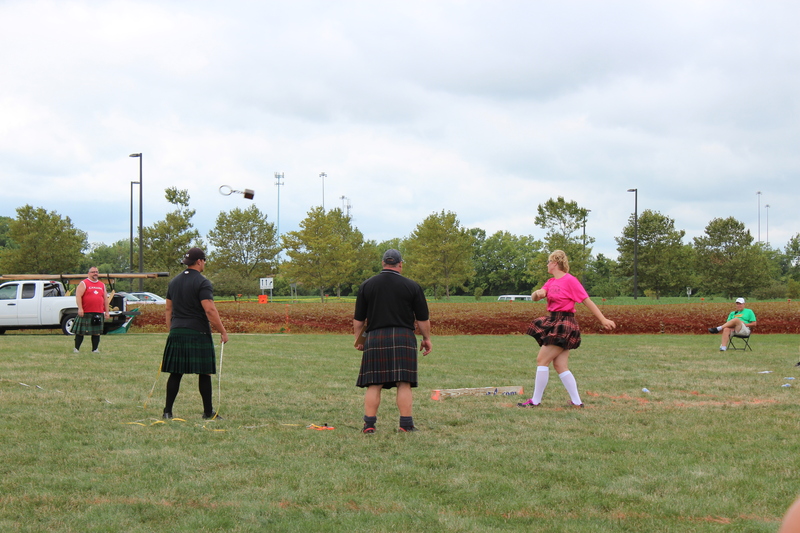 The shot-put, the hammer throw, and foot races, among others. But what I really like about this year’s games, especially in light of the tragic shootings in the past several years, is the positive image of the firearms and archery sports. I’m pleased to see firearms used rightly, for constructive competition that celebrates eye-hand coordination and intense focus. Weapons are useless and inert without someone who decides to use them. I like that there are high-profile, skilled, focused, and honorable men and women who compete and show that using a gun or a bow is not inherently evil. How a gun is used is the key. What you choose to do with it once you pick it up. 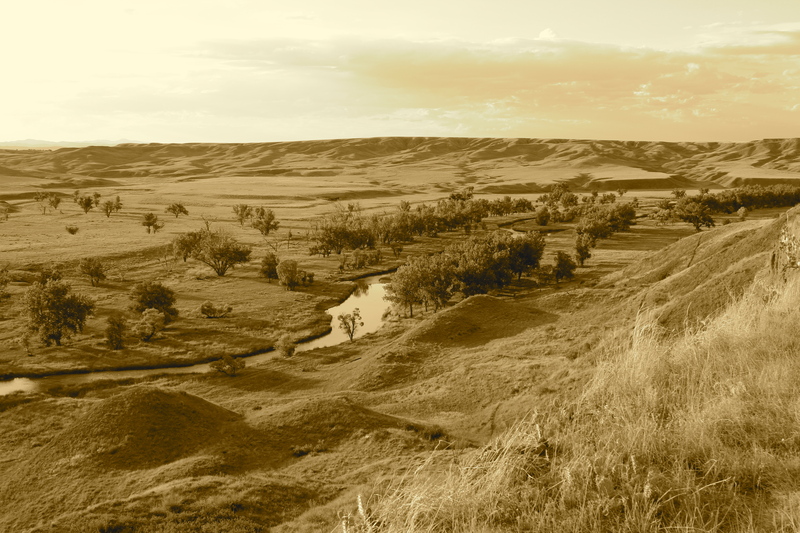 Which leads me to the Cheyenne River in South Dakota. It’s our family locus. We go back there to visit and we compete in familial target competitions. We use our firearms carefully, specifically, and with great regard for safety. Many of my family also hunt for meat during the deer season. We are at home with rifle and shotgun. We take great joy in using them rightly. We have a family tradition that goes back generations using not just guns, but also bow and arrow. It’s part of my family history. Which is why it makes me sad and angry that people wantonly destroy human lives in tragedies like we have seen in Norway, Arizona, Colorado, and now Wisconsin. But frankly, it makes me mad that people murder at all, with or without weapons! And that brings me back to the summer games. I’m proud to see athletes choose to use firearms and bows rightly, and in a safe, positive way. Just as in every aspect of history, the choice is always down to us. We can choose to perpetuate bad historical precedents of violence and hate or we can choose to stand up for a moral code that values human life and positive traditions. Sometimes historical curiosity comes from reading historical fiction. Specifically, in this case a Rosemary Sutcliff book. 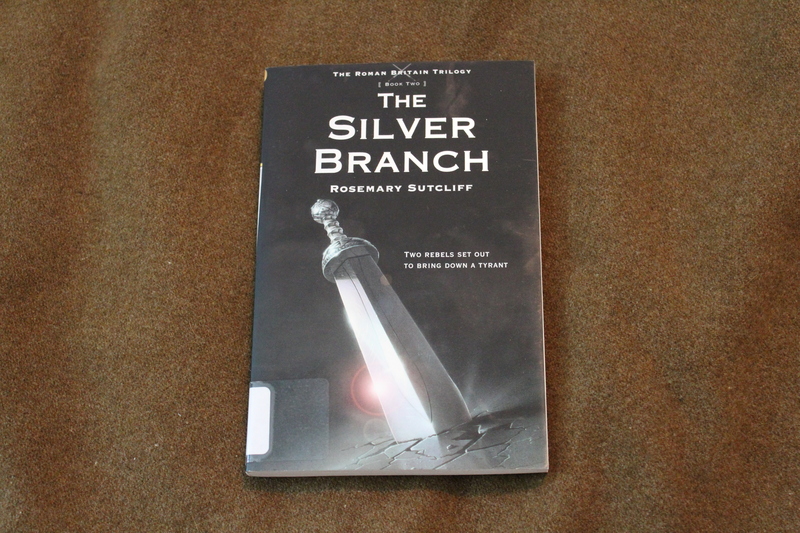 I recently read The Silver Branch by Sutcliff (a great read, originally aimed at a teen/young adult audience, but good for all ages). The Eagle of the Ninth, its better known companion, precedes The Silver Branch, but the former was checked out of my local library so I had to jump into the middle of the series. Thankfully each part of the trilogy can stand on its own. I was thrown back to the Roman Empire, in the 3rd century AD in the province of Britannia. As the characters, Roman, British, Irish, Dalriad, and Saxon, among others, coursed through the story from skirmishes, to escapes, from espionage, to battle the story of a rift in the Roman Empire unfolds. Three Emperors claimed three parts of the empire and the book concerns the subordinates who either undermine or support the man, Carausius, who ruled Britannia. 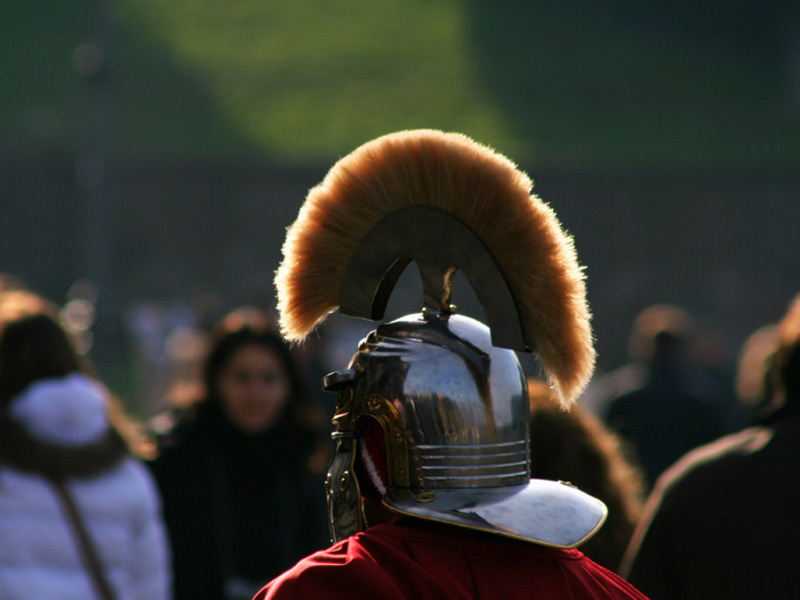 The emperors are historical figures, but the main characters of the story, Justin and Flavius, though woven into the historical events, are fiction. As fiction goes, this is reasonably legitimate. There are some flaws, as many others have noted before, particularly the eagle standard (which appears again in this book after its introduction in The Eagle of the Ninth) not being a legionary standard in actuality. An eagle was found in the ancient city of Calleva (Silchester), but it wasn’t the eagle of the ninth. Still, it’s probable. Some historical fiction is so outlandish that the story becomes completely ridiculous. Sutcliff’s writing is believable, albeit, a number of crucial events and actions are undertaken by one fictional family, but a clear thread is necessary to make a story readable. The Silver Branch piqued my curiosity about Roman Britain, a part of history, which was, unfortunately, the Swiss Cheese of my historical knowledge – full of holes. In high school and college the Ancient Egyptians, Greeks, and Israelites as well as the Scythians, Chinese, and then English, European and American history from the time of Elizabeth I up to World War II was my focus, partly because those were the classes on offer, but also because the late Roman Empire seemed to be rather gasp-y and sad, so I tended to skip it, but now I find myself filling in my knowledge of this era. Rome had such an impact on so many cultures as friend or as foe that it really is essential knowledge of the world. A nice piece of historical fiction like The Silver Branch is a good stepping-stone to delving into a new section of history. I’m interested enough now to crack my textbooks and get the slightly dryer, though still important details about Roman history clear in my mind. Sutcliff is a fine writer and this book makes for a great literary-historical adventure! The Book: History or Religion? Today at sunset begins Yom Kippur or the Day of Atonement for the Jews, followers of Judaism, and for a few Christians who recognize the call to convene on certain feast days found in the Old Testament scriptures – texts multiple millennia old. In this increasingly digitized world where daily billions of bits of information are finding their way to the computerized version of a warehouse we tend to lose sight of our old friend the Book. Kindles, iPads, and eReaders of various brands are marching onto the print battlefield and squaring off against the age old codex. The convenience of downloading your library instead of driving to it seems ready to overwhelm the more basic, tactile experience of opening a book. Yet codexes, and their scrolled predecessors, are the life blood not only of history but also of religions. 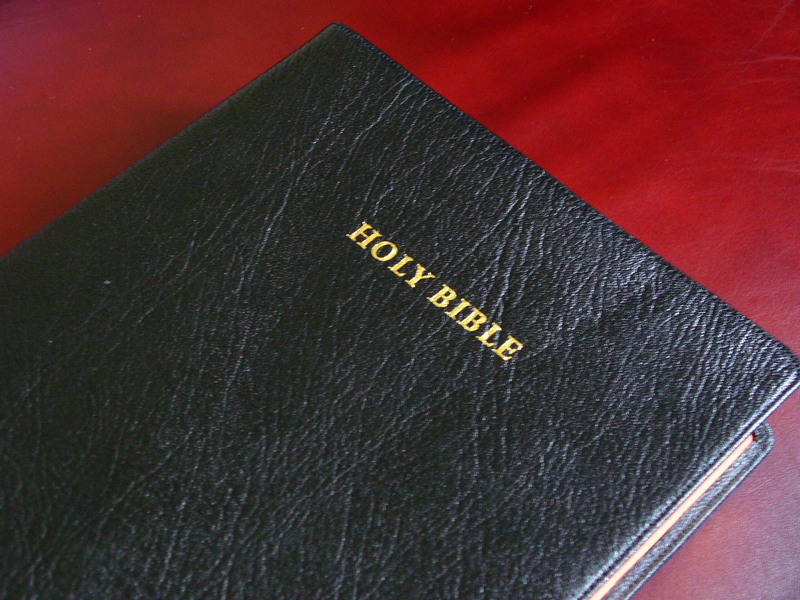 Many religions have specific holy books and texts. Buddism, Islam, etc., but the one most famous to the English tongue is the Bible and its King James translation. A work that not only influenced Protestant Britain and later America, but the very fiber of the English language. When does a book become holy, and at what point is it too holy or too religious to be considered an accurate source of history? Evolutionary anthropological theory would have us dispense with such sources as nothing more than a stage of development in which human origins are gussied up in mythical explanations. Yet religionists demand that a text like the Bible be accepted as the very word of God. So, where do we start? Do we deny the existence or use of these resources, some thousands of years old, as off limits to the study of history? Do we take only these printed words as truth? It’s basic really. If you want to know the plot of a mystery, do you stare at the cover and try to summarize what you think the author might have written? Or do you crack the cover and do the simple, intelligent thing and read it? If you celebrate the Day of Atonement may your observance of this historic day be filled with meaning and purpose. I love it when a story like this comes up in the news, “BGU Scientist Sheds Light On Ancient Egypt,” (Judy Siegel-Itzkovich, The Jerusalem Post, Jun. 21, 2010). Using all available resources to answer archeological questions is fascinating, even if we still don’t end up with a solid conclusion. Putting science to use within the confines of its capabilities is positive, rather than toying with genetic material we don’t completely understand, we can try to better understand the history we already know. Ever since The Mummy (the 1999 Brendan Fraser version), I’ve had a soft spot for Egyptian history. Actually it dates back further than that. Long ago, my parents went to a display of King Tutankhamen’s funerary objects and bought a souvenir booklet. I remember pouring over the images as a child, alongside, oddly enough, a coffee table book on African animals and another with images of Great Britain. 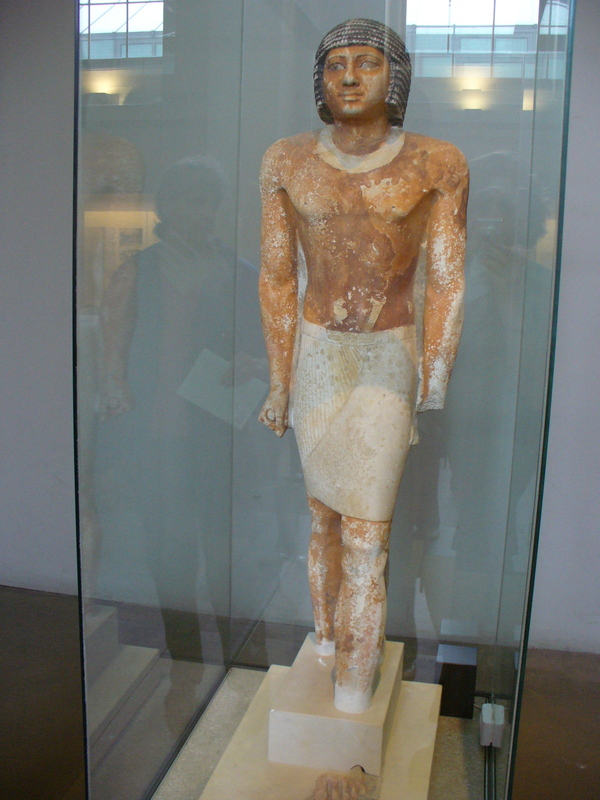 I once discussed this fascination with a friend who was likewise enamored with ancient Egypt. We came to the conclusion that along with an interest in Biblical events of the Exodus, we thought Egypt had some of the prettiest ruins of all the ancient civilizations. The latter was not a serious, academic conclusion, but people have gone on to study a subject for worse reasons than that. Egyptian paintings, carvings, and buildings are very beautiful. They have a stylistic element; static, yet fluid and graceful that stands apart from the realism of later Greece and Rome and the frightening, super-detailed elements of Assyrian creations. I think Egypt strikes us as at once other worldly (and the ancient Egyptians certainly thought they were, hence mummies) and cosmopolitan. And yes, those Pyramids – that’s the real cause of much interest. Who would go to all that trouble? What cultural influence and ideologies pushed a man (albeit a Pharaoh who thought he was a god) to spend all that wealth, manpower, and time constructing such a memorial when he would have been off conquering half the known world as did the Assyrians, Persians, Greeks, and Romans at later dates? I guess we’ll have to wait a while for an answer to that. In the meantime, keep your historical curiosity alive and maybe someday you’ll be the one to tell us why! From about 506 B.C. onward until 322 B.C. the Greek city-state of Athens was in a nearly continuous state of making war or preparing for it. And lest I single them out, so were the rest of the Greeks as well as the Persians and generally most of the occupants of the Mediterranean shores. To help you locate it, here is an image of the cover. According to John R. Hale’s Lords of the Sea: The Epic Story of the Athenian Navy and the Birth of Democracy the Peloponnesus, that peninsula that juts into the Mediterranean and which is connected to the Greek mainland by a narrow slip of land called the Isthmus of Corinth, was embattled with internecine wars, primarily between the Athenians and the Spartans (of 300 fame). Oddly, these two archenemies could also be allies if the need arose. When the Persians to the East decided to wage a campaign to increase their imperial holdings in Mediterranean Greece, the two allied against Kind Xerxes. This led to the famous Spartan loss at the Battle of Thermopylae in 480 B.C. followed in concert by the victorious Athenian naval battle of Salamis in the same year. At Salamis the Greeks wailed on the Persians and rendered their fleet useless. Hale explains that Athens was a significant naval power from this point onward until the rise of Alexander the Great, and the ensuing Macedonian empire (322 B.C.). They policed the Mediterranean and brokered deals with various city-states, receiving tributes of silver or gold for protecting harbors and ships on the sea. Athens invested in its navy by building a fleet of the state-of-the-art ship of the day – the trireme. This vessel, originally a product of Phoenicia, was 120 feet long, powered by rowers on three tiers (hence trireme) in the hold. The Greeks added a top deck that could double as a troop carrier for marines. It was guided by a steersman and commanded by a trierarch. It was the kind of ship that worked well on calm seas but was useless in inclement weather when swelling seas could pour water into the oar ports and swamp the ship. 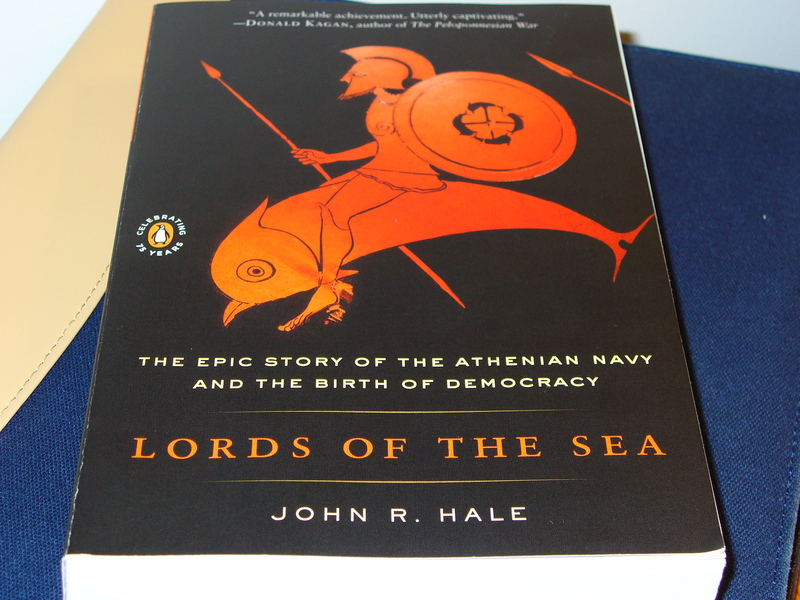 The author of Lords of the Sea contends that because the ships relied on significant manpower the less wealthy individuals who risked their lives to row their superiors in the Athenian class system (the steersman and trierarchs) to and from battle wanted and had the leverage to demand a voice in the Athenian assembly. This resulted in eventual suffrage and leadership roles for all citizens of Athenian society, regardless of wealth. The investment of funds and lives in the Athenian navy meant that those who served, every male citizen, had a say in the governing of the city. This was the motivating force for democracy in this place, at this time in history. It did not, however, mean that Athens was the ideal democracy. The Athenians grew, through alliances with other city-states and the tribute paid to them, into an imperial power. If your city-state angered or defected from the league you were subject to the wrath of Athens, generally wholesale massacre of all citizens in your city. If Athens didn’t get enough tribute from its allies it would also resort to pillaging and piracy to gather the extra funds from enemies and allies alike. Occasionally the democracy would even turn self-destructive. After one famous victory against the Spartan navy at the Battle of the Arginusae Islands in 406 B.C. six of its victorious generals were executed for failing to pick up the bodies of the dead from the sea because of bad weather despite their overall success in the battle. One of these generals was Pericles, the son of Pericles, the great man of Athens. Athens had a democracy, but it also had great men of vision who guided the democracy: Themistocles, Pericles, Socrates, and others. However, without these men who could think into the future, Athens struggled. Hale’s writing is easy to read, but the book is a little battle heavy as one reviewer put it. It gives a clear analysis of Athens and its naval ambitions, and really, much of the rest of Greece during their heyday just prior to the ascension of Alexander the Great and the Macedonians.